Audio Content: Some call it famous, others infamous, but whatever you call it, the sermon that Robert Webber gave at Wheaton College’s November 5, 1970, chapel service was highly influential. Titled “The Silence of God,” the speech had a huge impact on the campus and affected students and faculty for days on end. Coming at the time of great unrest and change in our nation, both politically and theologically, Webber spoke honestly, transparently, and passionately about the ways that modern evangelicalism was failing and falling short. He also spoke emotionally about his own struggles in the faith. Readers of Webber’s later works will hear the first echoes of important themes he held to and championed throughout his academic career. You’ll also hear plenty that caused a stir at the time: “The answer is not the answer.” “God is dead and we are also dead.” “We should stop preaching the gospel.” Sound intriguing? 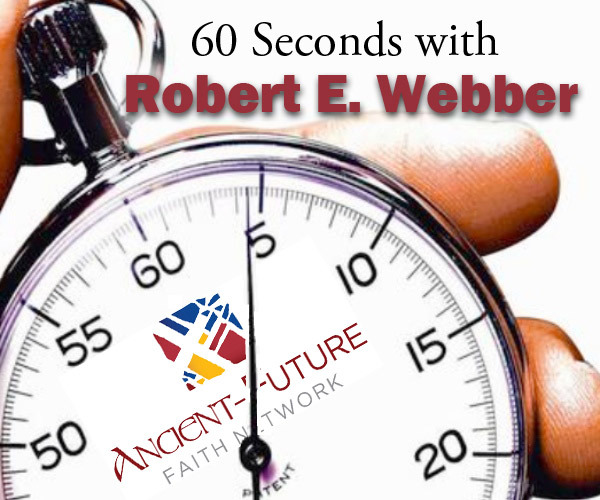 Audio Content: We’re back with another edition of “60 Seconds with Robert Webber,” a regular audio feature here at the Ancient-Future Faith Network. In this installment, Webber talks about the fallout from his controversial chapel sermon at Wheaton and how his life since had been an unpacking of that important moment. Look for more installments of this regular feature, and don’t forget that there are full-length audio resources featuring Robert Webber from time to time here in The Abbey. Materials appear for a short while there, then are archived in our growing Knowledge Base. Audio Content: Here’s another installment of “60 Seconds with Robert Webber,” a regular audio feature here at the Ancient-Future Faith Network. In this episode, Bob reflects on how the story of the Road to Emmaus is a description of Christian worship, his own identification with the two travelers, and then makes a powerful observation. Look for more installments of this regular feature, and don’t forget that there are full-length audio resources from time to time featuring Robert Webber here in The Abbey. Materials appear for a short while here, then make their way to our growing Knowledge Base. Audio Content: Now for another installment of “60 Seconds with Robert Webber,” a regular audio feature here at the Ancient-Future Faith Network. In this episode, Bob had been describing the “Journey to Jesus” catechesis/discipleship process and passionately spoke to the importance and meaning of baptism. 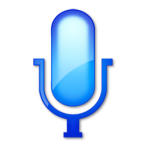 Audio Content: Now for another installment of “60 Seconds with Robert Webber,” a regular audio feature here at the Ancient-Future Faith Network. 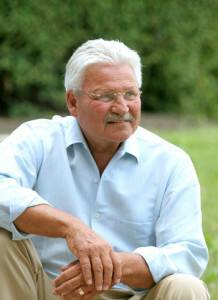 In this episode, Bob had been describing the “Journey to Jesus” catechesis/discipleship process and came to the second step titled “Be My Disciple.” He talked about his great desire to see evangelicals return to the Bible, and also mentioned what he was sick of seeing in evangelism of the modern church. Audio Content: Here’s another episode of “60 Seconds with Robert Webber,” a regular audio feature here at the Ancient-Future Faith Network. 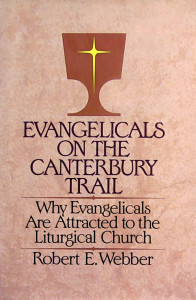 In this installment, Bob talks about the evangelism process in the early church and how many people– not an individual– were involved in the inquiry of the seeker. 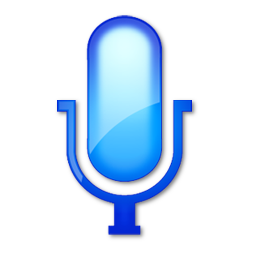 Audio Content: A regular feature at the Ancient-Future Faith Network, these delightful segments of audio content are taken from the many lectures and workshops from the late Robert E. Webber. 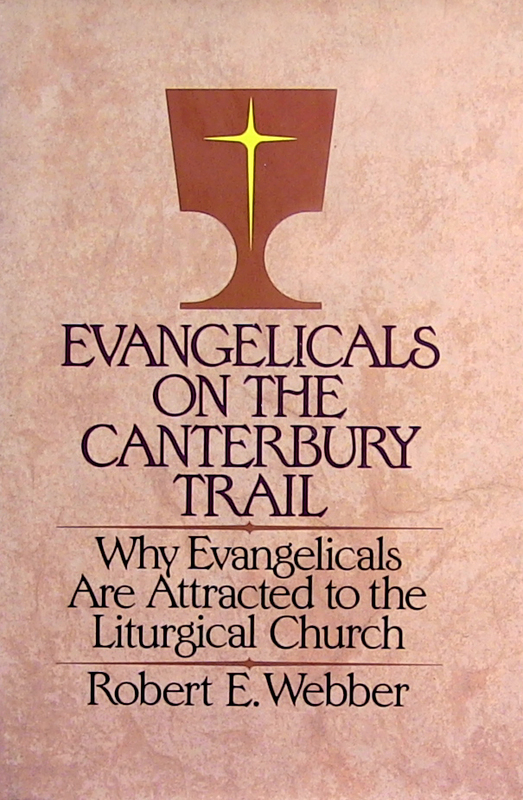 In this episode, Bob was addressing a group of pastors gathered to talk about Ancient-Future Evangelism, and part of his discourse was about how it is necessary, in his view, for the evangelical church to recover 4 basic, theological motifs of the early church. Here’s the fourth and final one: External rituals order and organize internal experience.